Light a light bulb by waving a magnet. This demonstration of Faraday's Law shows you how to reduce your power bill at the expense of your grocery bill. 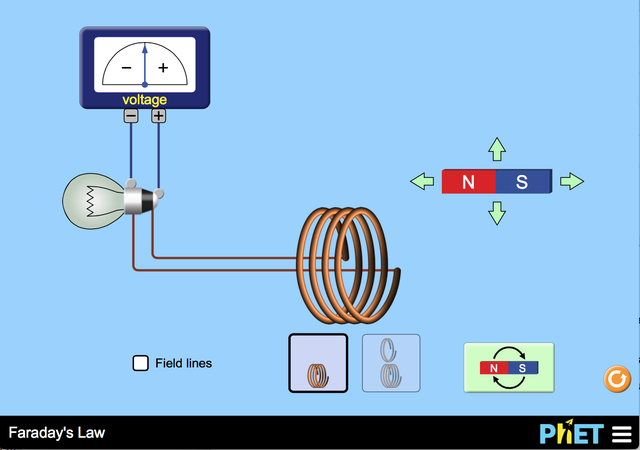 Primary aims Explain what happens when the magnet moves through the coil at different speeds and how this affects the brightness of the bulb and the magnitude & sign of the voltage.